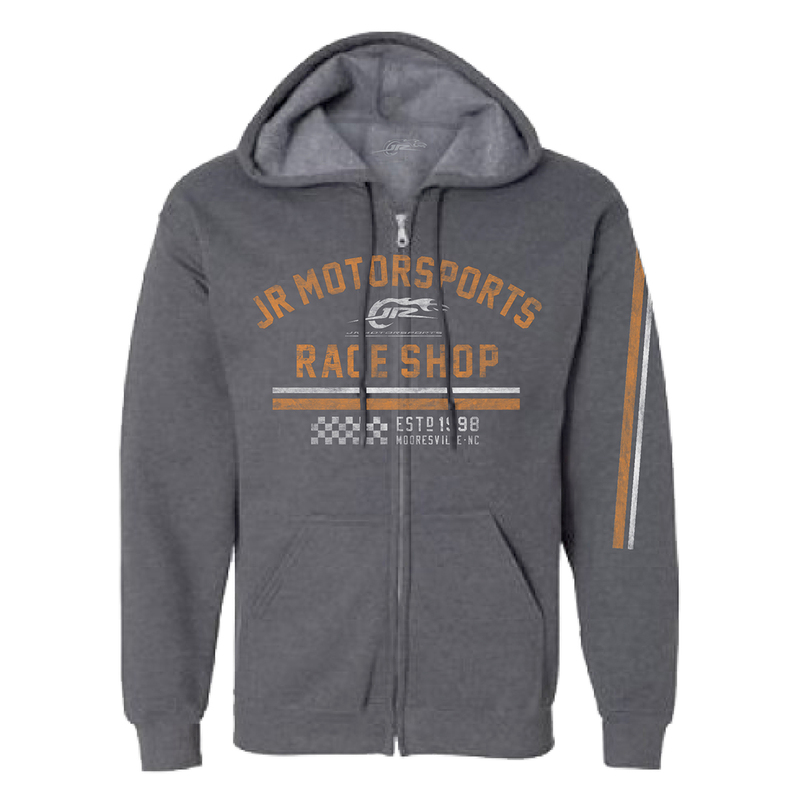 Show your support for the JRM team and their drivers with this stylish full-zip with cool graphics and the Junior Motorsports logo! I live in Central Oregon where it's Hoodie weather. The color is perfect and hides the dirt. The fit is comfy and of great quality. My first order from you and if this is any indication of your products, Ill order again. Thanks. 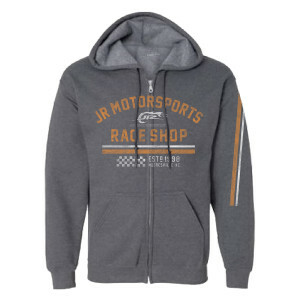 The sweatshirt is great quality and great density. I love the fuzzy inside.